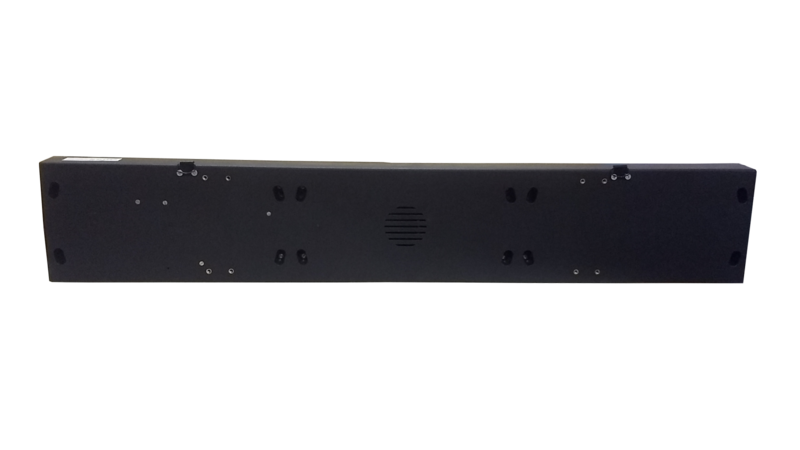 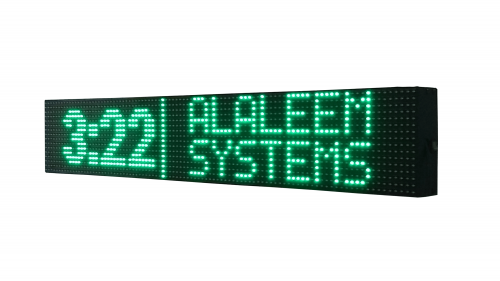 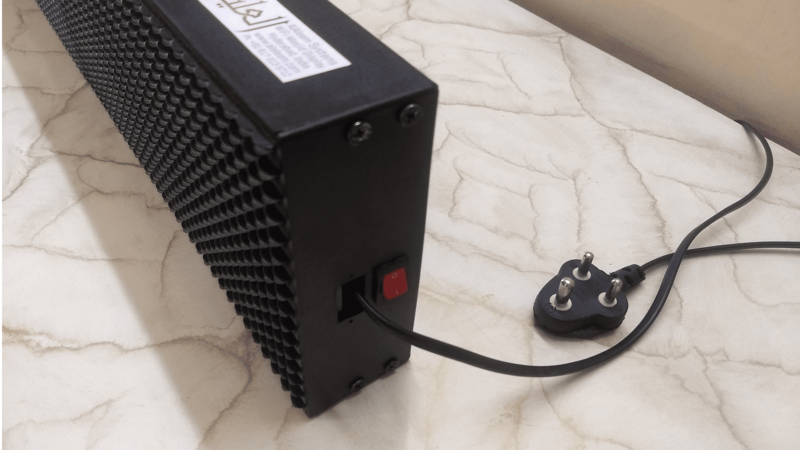 Automated WiFi Enabled (IoT ready) Salaah/Namaz (Prayers) Timings LED Display & Digital Clock for Masjids, Madrasas, Maktabs, Offices & Homes. 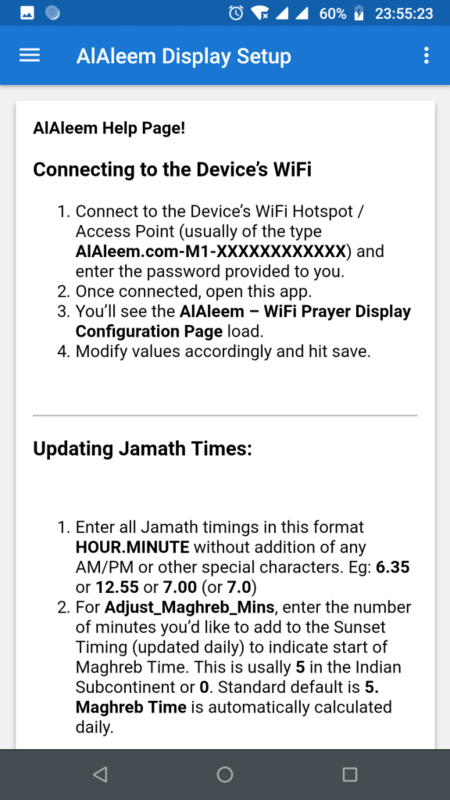 Fully Automatic with Jamath notifications. 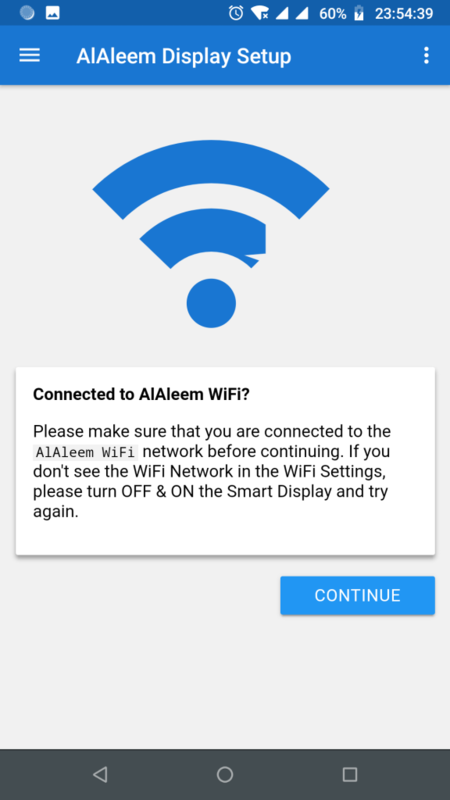 Update info directly from Android App or from Phone/PC’s Web Browser Wirelessly on other Devices. 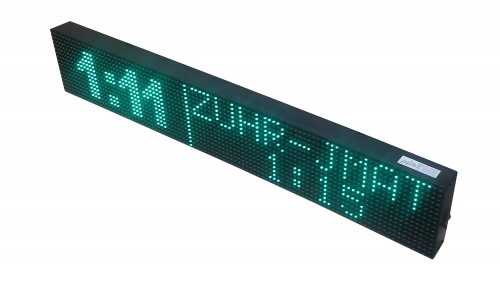 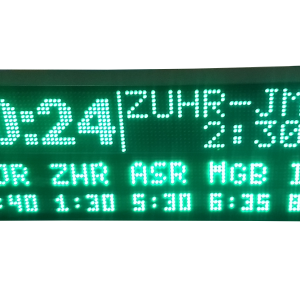 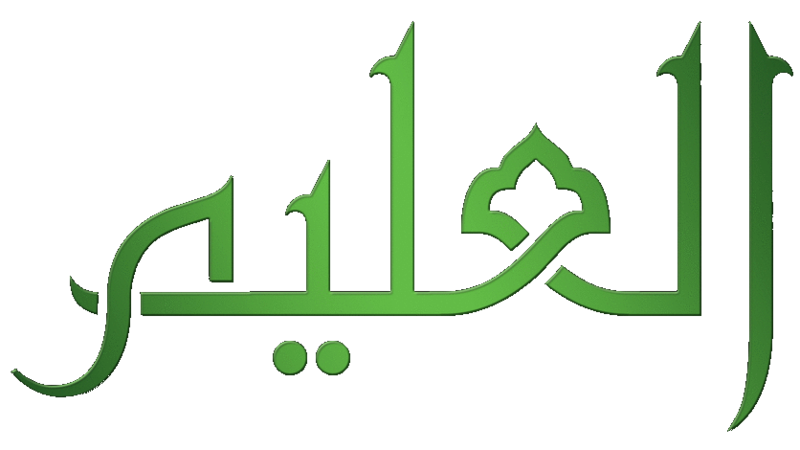 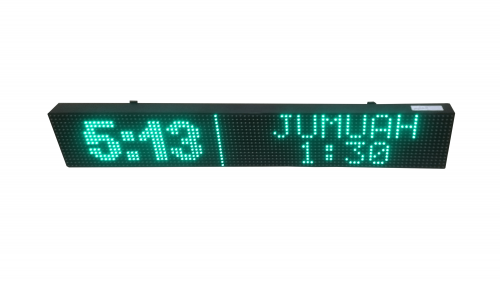 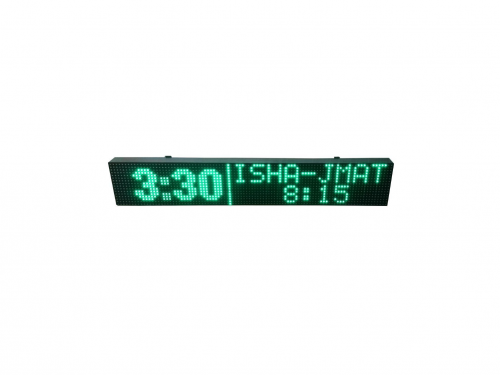 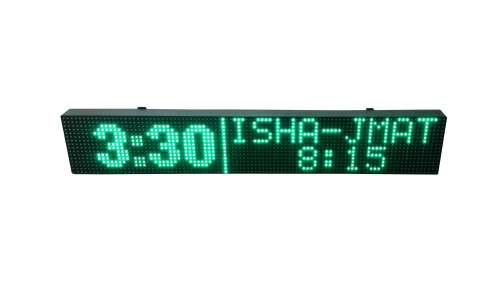 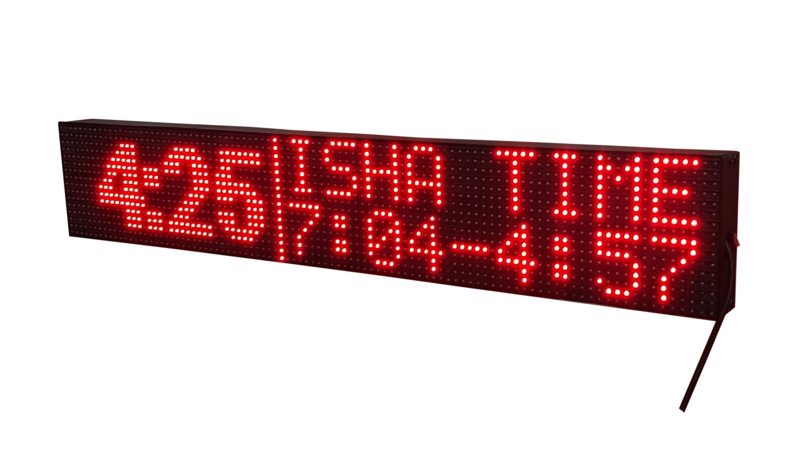 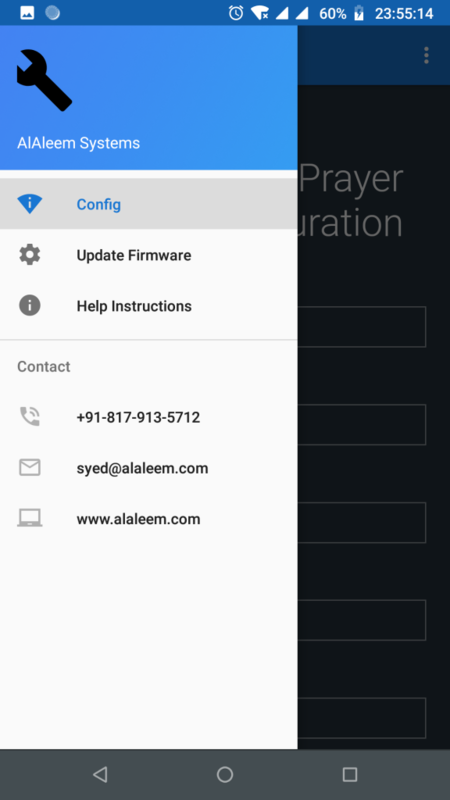 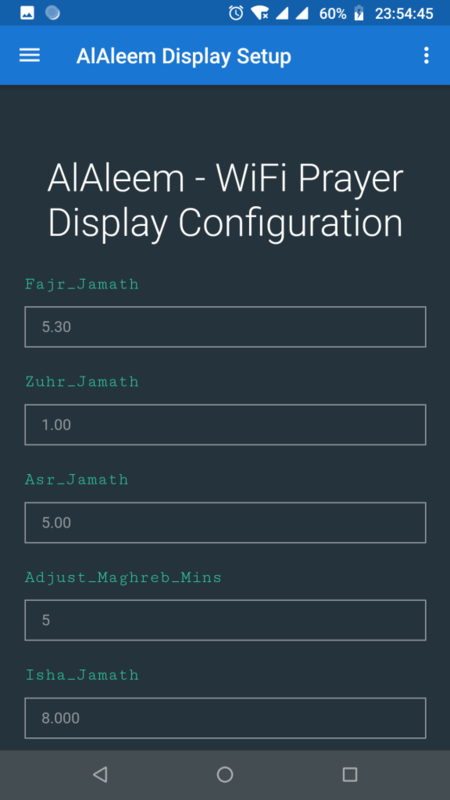 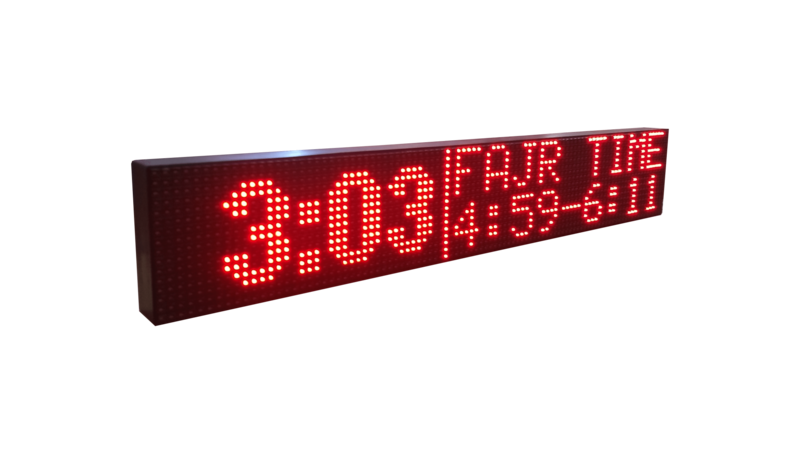 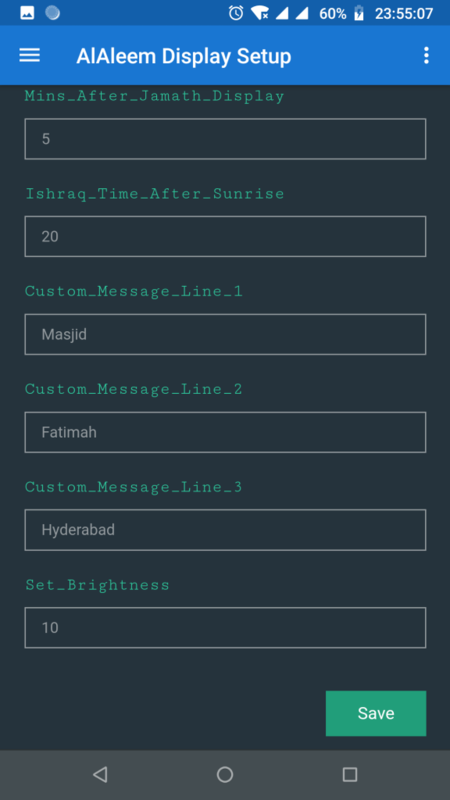 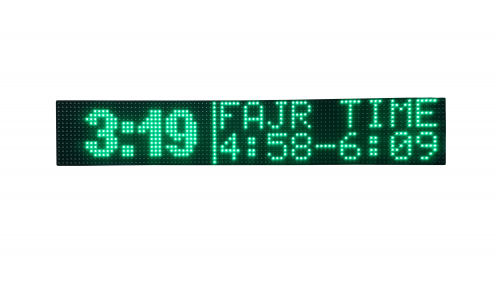 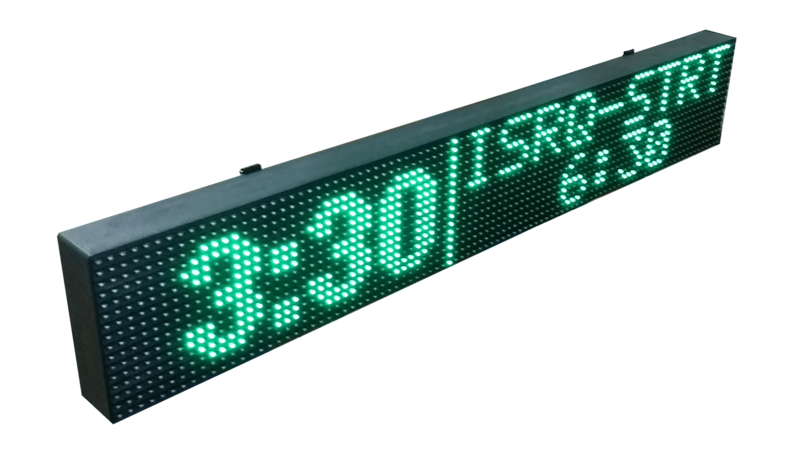 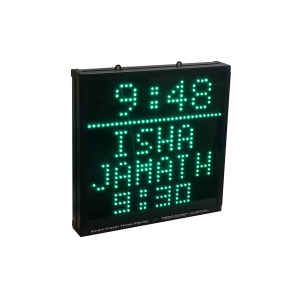 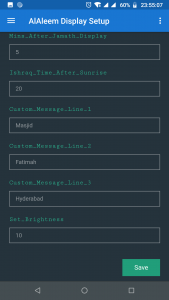 This is a Minimalistic Smart Prayer Times & Info LED Display for Masjids, Maktabs, Islamic Centers, Offices, Schools, Public Offices, etc to show upcoming Jamath Times, Start & End of Prayers (Azan Times) & other Custom Message. This display has been designed to be Minimal, Small & Compact yet Futuristic & Smart enough to show relevant info as required.